Tuckpointing is a masonry trade that involves the application and repair of mortar and brick using tuckpointing techniques. The method of “tuckpointing” was started in England back in the late 18th century and refers to the process of blending mortar between bricks to match the color of the bricks and then creating a “tuck”, which is the thin line that is perceived as the mortar. This technique gives the illusion that bricks have very thin joints between them. However, tuckpointing as a modern trade also now encompasses cleaning and repair of brick buildings and mortar as well as new brick construction. If you or a family member was injured while working as a tuckpointer, you are likely entitled to workers compensation benefits. Contact the workers compensation attorneys at Rosenfeld Injury Lawyers LLC for more information and a free review of your legal rights and options. Masonry in general is a physically tough trade. According to the bureau of Labor Statistics, masonry is one of the highest-risk specialty trades and has a high incident of injury. In 2009, there was a non-fatal injury rate of 191.5 out of 10,000 workers, which is much higher that the average injury rate. As with any construction trade, there are many risks involved when working on a building site and tuckpointing also as specific trade hazards as well. Struck by object. 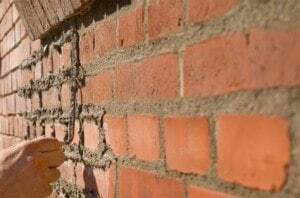 The most common injury in masonry is to be struck by an object. In 2009, 27% of the injuries incurred by those working in the mason trade were from being hit by an object. Falls. Tuckpointers work on the outside of buildings, sometimes a few stories off the ground. Falls were the 2nd highest cause of injuries in 2009. Muscle strains. Tuckpointing involves bend, lifting and holding the same position for long periods of time while performing precise work. Back, neck and hand/wrist strains and injuries are common. Silicosis. Exposure to even small levels of silica dust over long periods, or high levels in shorter periods can cause the deadly lung disease silicosis. This can cause shortness of breath, coughing and weight loss as well as many other more serious complications such as complete respiratory failure or tuberculosis. Lung cancer. One of the many complications of silicosis is that the damage may lead to lung cancer. Kidney disease. Chronic kidney disease has been linked to silica exposure. In one study, those with silica exposure had a 40% higher risk of chronic kidney disease. NOISH recommends that tuckpointers use a shroud or breathing mask that collects the silica dust and is attached to a hose and industrial vacuum cleaner to reduce the amount of dust they are exposed to. This combined with a mask or ventilator can greatly reduce the amount of silica dust exposure. If you or a family member has been injured or contracted an illness from working as a tuckpointer or mason, you may be eligible to pursue a personal injury claim against the responsible third-part or a work comp case against your employer for financial compensation. Rosenfeld Injury Lawyers LLC are experienced at work injury cases and can fight for your right to receive monetary damages for your illness or injury. We invite you to call us and set up a free, no-obligation consultation.